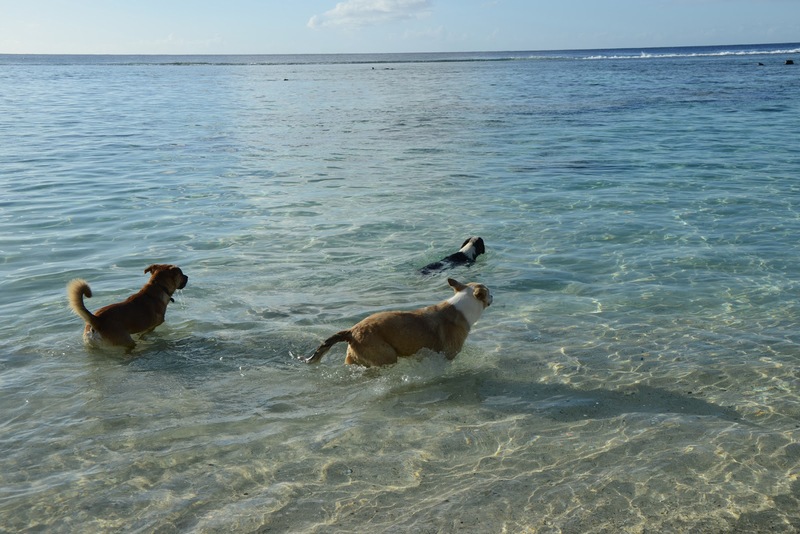 Dogs swim in the lagoon off Rarotonga, Cook Islands. For one week and for one week only the SAT office has temporarily relocated to the Cook Islands (if you have not been here, there are plenty of reasons to visit - including the fact that if you're from Sydney you can get a direct flight with Air New Zealand). It all happened thanks to a tweet from the Esther Honey Foundation suggesting we write about the work they do for the local animals. We needed a holiday (or at least a workifrolicday) so we decided to make it here and visit the EHF in person. Don't get too jealous - it isn't all cocktails with umbrellas and swanning about in bikinis, although if one were that way inclined the island is very accommodating. We're working on a few projects, writing and blogging. It just happens that we are about 50 metres from what must surely be one of the world's most beautiful beaches. That in mind, this weekend we have a few links to share. Colorado State University's Pets Forever program harnesses the power of students to help low income elderly or persons with disabilities maintain their pets - and both sides benefit. This is a great model for other educational institutions and a brilliant example of how a simple intervention can yield huge benefits. Read about it here. On a more serious note, photo opportunities with captive wildlife species are probably something to avoid. British animal charity Care for the Wild International is campaigning to raise awareness about the cruelty behind many of those photo opportunities (read more here). Accelerated by the increasing trend of posting selfies on Facebook, the practice of being photographed with captive wildlife may be supporting animal abuse and cruelty. I must confess I've been guilty of taking up these opportunities on overseas trips thinking I was contributing to conservation. This article from the Sydney Morning Herald explains the problems associated with these images. 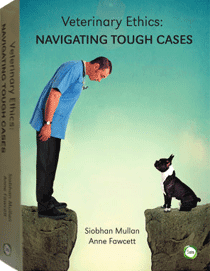 On a much lighter note, I learned this week that dog flatulence is a legitimate field of study. Julie Hecht wrote this insightful blog about what dog farts are made of, describing the incredible flatulence suit worn by the subjects of a very serious study on the matter. An odour judge was asked to rate each fart on a scale of one to five, with one representing a noise-only-odourless fart whilst five reserved for the fart equivalent of a category five weather system (and you think your job stinks???). Further investigation into an article published in the Journal of Emergency Medicine (1992; 10(1):79-88) by DF Danzi revealed that "cultural complaints and scatologic implications at times impede meaningful research". The abstract promises that the article discusses "the current state of flatal physiology, pathophysiology, and diagnosis of aberrancy". Aberrancy. I like Danzi's style. Stay tuned next week for our Cook Islands themed posts, including an interview with veterinarian Michelle Gray from the Esther Honey Foundation. In the meantime, we've been asked (seriously) to perform some health checks on some cats in Aitutaki.